Now everyone can eat like Beyonce! 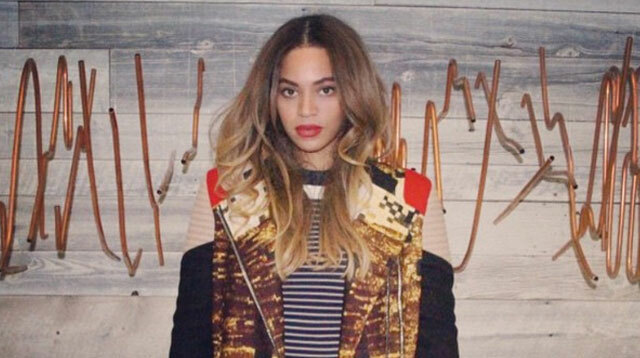 Beyonce is launching her own home delivery vegan meal service! The singer is currently working with exercise physiologist Marco Borges to bring out the "plant-based home delivery meal service,” according to the New York Post. Beyoncé decided to work with Borges after she and husband Jay Z followed his 22 Days Nutrition program—which promises "optimum wellness through conscious nutrition"—in December 2013 to get in better shape. The rapper revealed his inspiration for following the diet in a post on his Life & Times website. Jay wrote: "On December 3, one day before my 44th birthday, I will embark on a 22 Days challenge to go completely vegan, or as I prefer to call it, plant-based! This all began a few months back when a good friend and vegan challenged me to embrace a 'plant-based breakfast' every day. It was surprisingly easier on me than I thought ... PS: B is also joining me. (sic)"
No news yet when Beyoncé and Borges' joint venture will hit the market, but this news is pretty exciting.